Copaken Brooks maintains the redevelopment rights to the two blocks immediately west of Broadway and contiguous to the new Kauffman Center for the Performing Arts, from Truman Road to 17th Street. The location takes advantage of the walkability, housing, rail line, views, general arts culture of the Crossroads District, and the convenience of being in the middle of Kansas City’s most prominent areas – Westport, Country Club Plaza, Downtown Kansas City, etc. 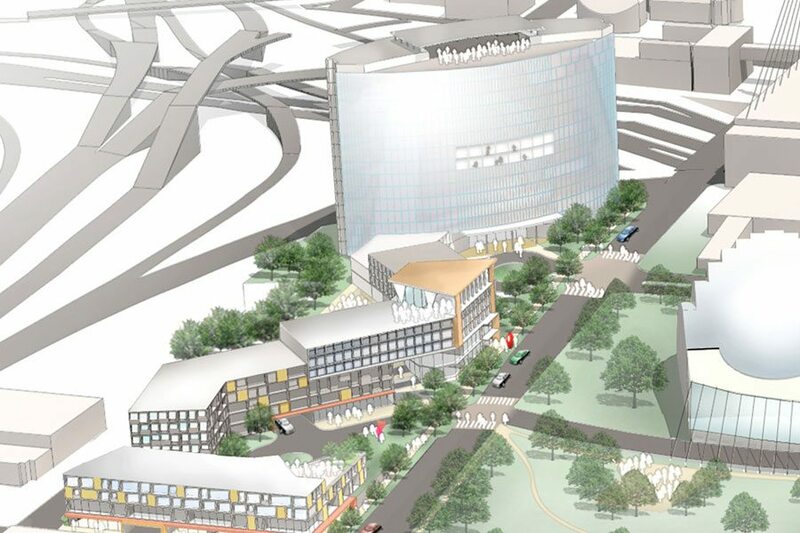 With the Kauffman Center opening in 2011, this well positioned location is primed for numerous redevelopment possibilities including a mixed-use approach consisting of office, hotel, residential, and retail . However, as of Q1 2013, no development plans were in place, or is anticipated in the near term.